This winter's population hit a record-low, with butterflies covering only 1.19 hectares. 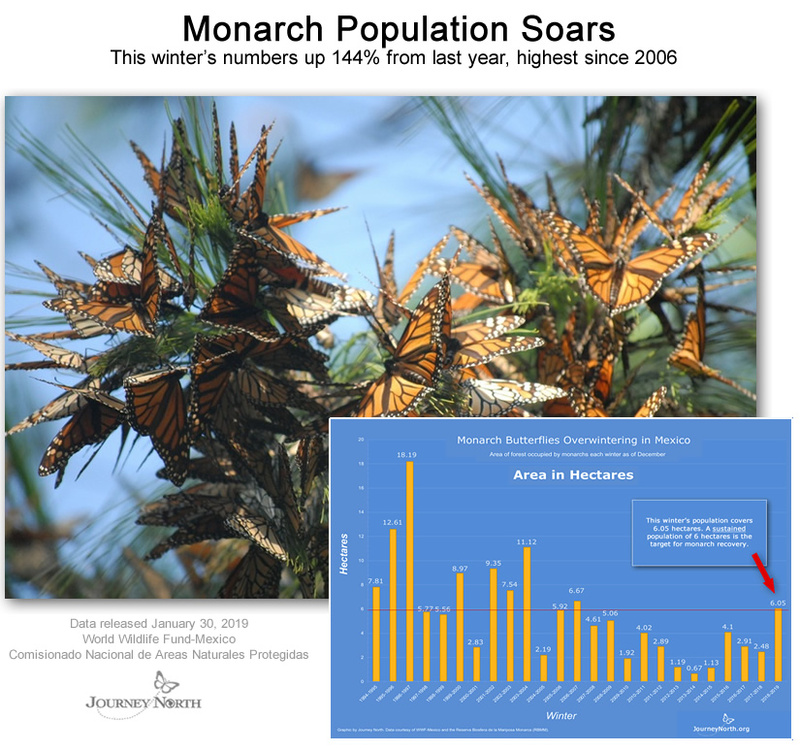 There were twice as many monarchs last year. Although insect populations fluctuate naturally, scientists are concerned about the overall downward trend the graph shows.